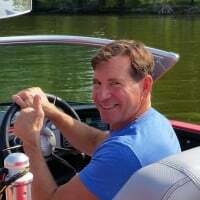 @foxriverat : If your existing bracket fails, since the engine is a small block Chevy, you can source an alternate bracket from one of many speed shops (Summitt Racing, Jegs, etc.) or even eBay as a substitute. No wonder it looked screwed up to me. 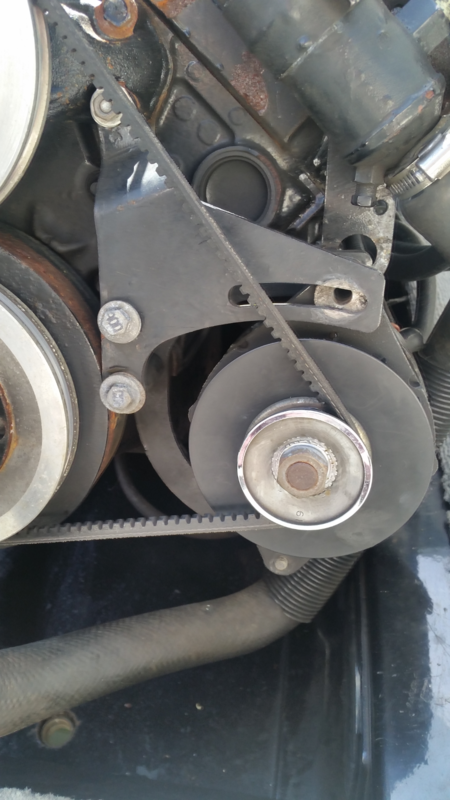 The 2 lower bolts on the left bracket are just bolted to the alternator. I see they are supposed to thread into the block. Both bolts are snapped off in the block. The bolt on the right went through that bracket behind alternator to keep it tight. Can I try drilling out old bolts? Or will I possibly drill trough the block? Let me rephrase. How deep can I drill to get an easy out in before I go through the engine block. Time for a new ZO engine! 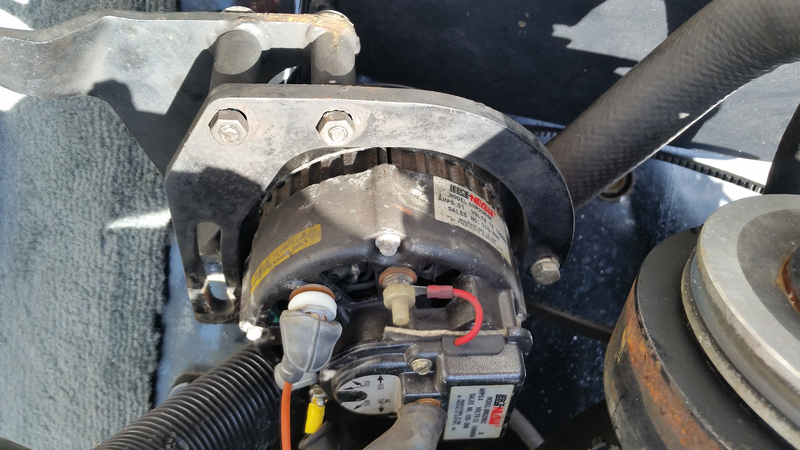 The lower bolt does not interface with the water jacket so no issues there. The upper bolt has the depth constraint. You should be able to go 1.5 times the bolt thread diameter with no worries. @foxriverat better be careful there, broken bolts can be tricky to get drill started in center, make sure you center punch first and start with a small SHARP drill. That project can go south in a hurry if you're not skilled. If the bolts were stainless it might be very challenging drilling. Maybe not so difficult to back out though. 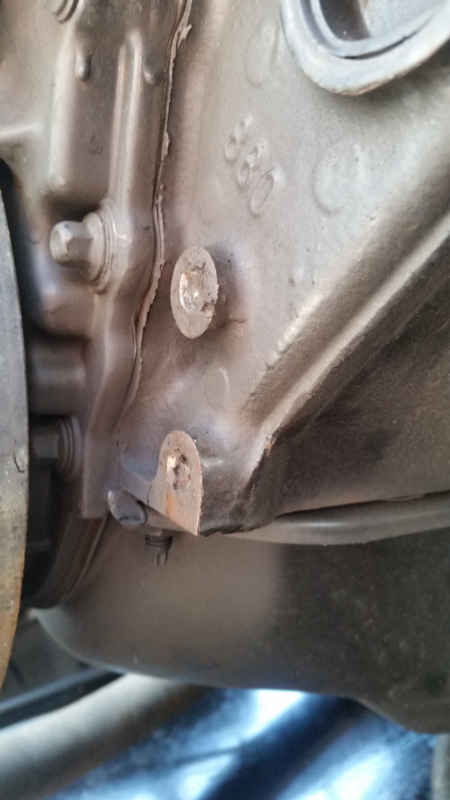 If you are good with a welder you might be able to weld something you can turn onto the broken bolt. The heat will loosen the bolt nicely. I used that trick on lots of frozen/broken tractor bolts. Boats are tougher with more limited clearance and lots of flammable stuff nearby - so I haven't done it to boats. Yet. To prevent breaking stuck bolts, during assembly always use anti seize! Or a dremel cutoff wheel for @BraceMaker 's plan. and I dont beleive it even uses that lower hole. Old style bracket that I have on left that uses 3 1/2 bolts that are prone to break. New style on right that I ordered. @eleeski that is my preference but as its broken off below the level of the surface and recessed usually the diameter of the disc is too large and it cuts into the surroundings. depending on application that's usually a no-go unless its say the bracket you are replacing. Its like dentistry where you can do a tiny little slot with a little burr and get it. @foxriverat : You must have a silver horseshoe somewhere, nice to see the correct bolt came out, how rare is that! 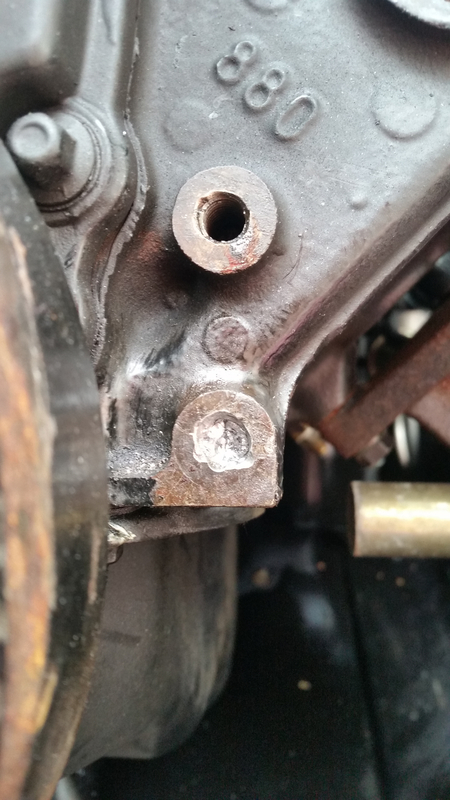 At least now, the bracket will break (at the bends) rather than the bolts in the block. I just had a Merc alternator bracket break at a 90 degree bend, decided to make one out of an aluminum tube and a couple of heim joints. Well off to find some sharper bits. After looking at the other part of bracket. 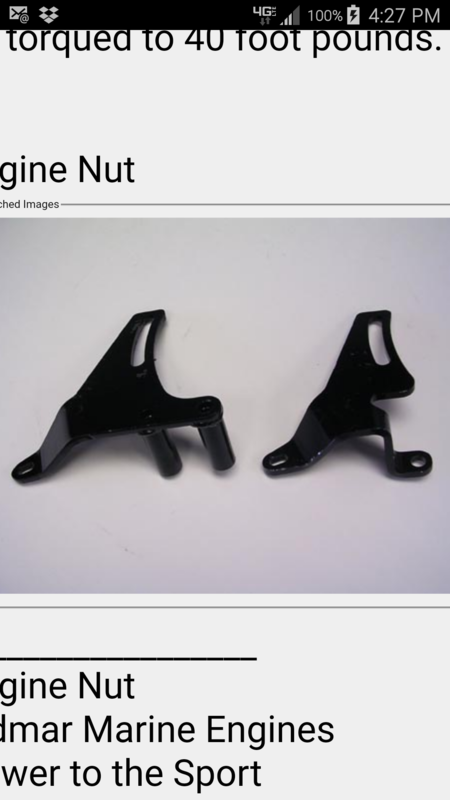 It`s a 2 piece bracket. Other part still uses the bottom hole so it does`nt twist. Try using a centering bit to get the hole started and then switch to a left hand bit. Northern Tool and Harbor Freight both sell left hand bits. I got my set in the local Northern store. That rescue bit looks like an expensive thing to try. @oldjeep Thanks again. I have a harbor freight about 10 miles away. Why left hand drills? Get a good cobalt drill. Maybe a diamond drill. Your EZ out doesn't care how the hole was drilled. If the bolt screws in while drilling, great. It's now loose and you should be able to work it out. Or just let it bottom out to finish drilling. Did not have time to get to harbor but stopped at Ace and picked up 1/8 and 7/64 cobalt bits. I had a small carbon bit break off in there yesterday to make matters worse. Bits did nothing. 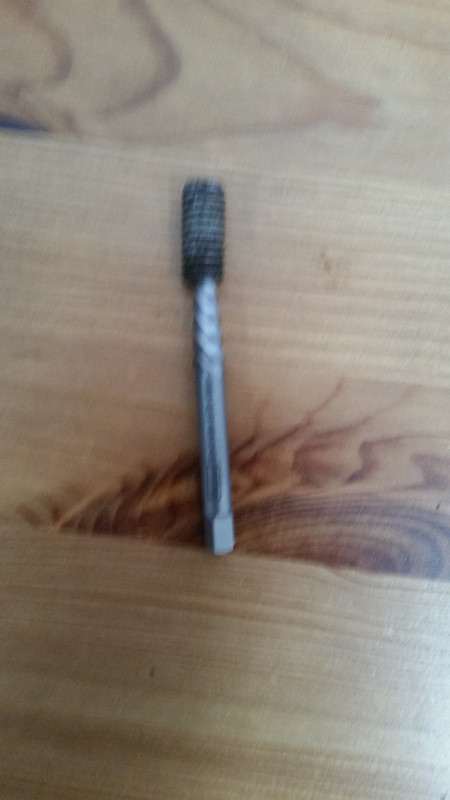 Used a small dremmel grinding bit and thats not doing much. I have some gearhead buddies who have a shop where they work on all there toys. I am just going to see if they have something to get it out before I spend more money on bits. If worse comes to worse I will just cut the head off a bolt and have them weld it in the hole and attach the bracket with a nut.